FedEx Ground is the second largest FedEx operating company and specializes in cost-effective, small-package shipping offering dependable business-to-business delivery or convenient residential service through FedEx Home Delivery and FedEx SmartPost. 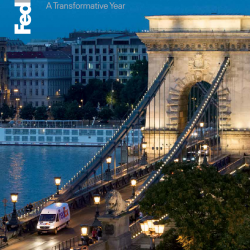 Through a workforce of more than 60,000 employees operating in 33 hubs and 500 pickup and delivery terminals throughout the U.S. and Canada, FedEx Ground delivers more than 3.5 million packages a day. FedEx Ground differentiates itself in the marketplace through its innovative use of technology and independent contractors and Independent Service Providers to deliver the industry’s fastest and most reliable service. As the first company in ground shipping to use bar coding and automated sorting, FedEx Ground operates the industry’s most automated hub network and is committed to ongoing technology investments that provide more information to customers faster. 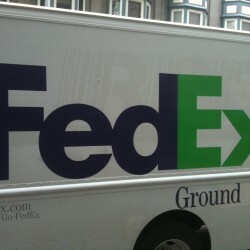 FedEx Ground has enjoyed a successful business relationship with independent contractors since 1985. The motivation for an independent contractor business model came from a fundamental observation that a small business owner has greater flexibility and drive for efficiency. Independent contractors earn in proportion to results. These factors were integral to the successful founding and startup of the company (through its predecessor company RPS) against a much larger competitor, and they remain a competitive differentiator today. FedEx Ground pickup and delivery contractors are the company’s primary link to customers. The entrepreneurs who own these independent small businesses are responsible for ensuring service in their work areas by utilizing their own equipment, hiring and training drivers and staff, and planning and executing day-to-day business operations. These businesses assume the costs of operating delivery vehicles, including maintenance, repairs, fuel, tolls, taxes, registration fees and licenses; as well as all employment-related obligations (wages, employment taxes, benefits, etc.) for personnel. More than 12,000 Independently-Owned Small Businesses to Provide Package Pickup and Delivery Services. UPS vs. FedEx: What&#39;s the Difference?